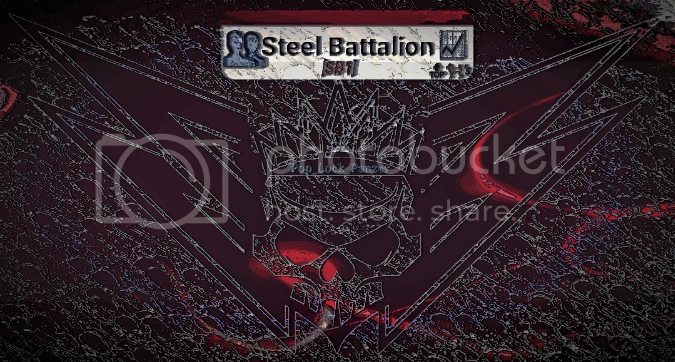 --> About the clan: Steel Battalion was formed on Chrome Hounds in 2007. The game was out for the Xbox 360, and when SEGA shut down the servers for Chrome Hounds it sent many of tank loving fans at a loss. After word of World Of Tanks Release, many players then went to the PC version of World Of Tanks. --> About the Leader: My name is Rob, I am Current Leader of Steel Battalion from N.A. Server. I recently graduated, and have spare time to play almost every evening when I'm not working. I am looking to put together a cooperative and cohesive team that will become first of many Meta Clans for World Of Tanks Blitz. I have been playing world of tanks since its release on PC and continued to play follow ups on Xbox 360 and Mobile. I am also very well versed in Graphic Design and also Video Editing. Speak English & posse's more than 3 Tier V-X. Find us on World of Tanks Blitz! Thanks for reading! Hope to see your application! Edited by Pop_Lock_Panzer, 05 August 2015 - 10:06 PM. Hoping to find many more members! Our current roster has 10 people. Edited by Pop_Lock_Panzer, 05 August 2015 - 08:23 PM.